Are you planning to have solid or glazed partitions installed in your office? The estimated price of your project will depend on its size, so the first step is to choose a layout and then calculate how much partitioning you will need. This helpful guide will show you which measurements you need to take – simply follow the step by step instructions to determine the total linear metres. 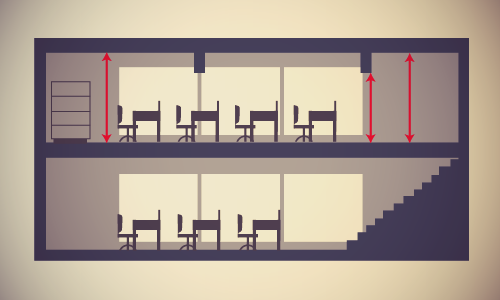 The first step is to choose an office design layout. Depending on the amount of space you have available, you can install partitions in a variety of different configurations. 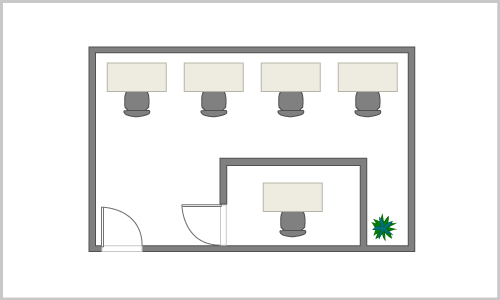 Our guide to partition planning can help you to visualise the ways in which your space could be divided. Once you’ve chosen a layout, use gaffer tape to mark out on the floor where you want the partitions to be placed. The next step is to establish the length of the partitions, in metres. To do this, simply measure the length of the gaffer tape that you placed on the floor in step one. Next, measure the height of the room from floor to ceiling, in metres. You should take this measurement in three different places, ideally to the left, right and centre, as ceilings can sometimes be uneven. 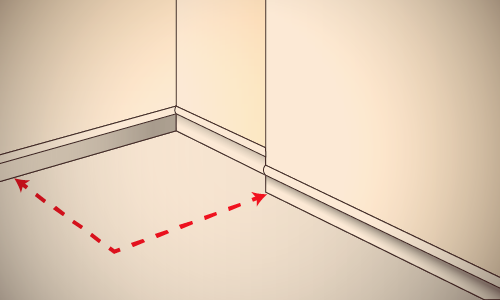 After measuring the height of the room, check whether the floor is even using a spirit level. 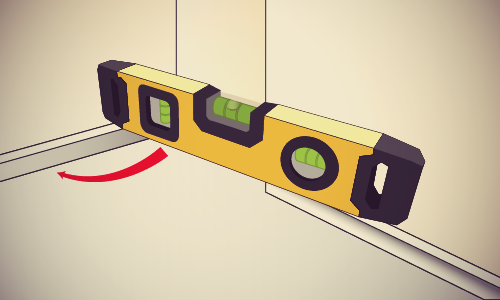 Place the spirit level on the floor and ensure that the bubble is centrally located between the two black lines. Finally, check for any skirting boards, wires or pipes along the wall that may get in the way of your partitioning. 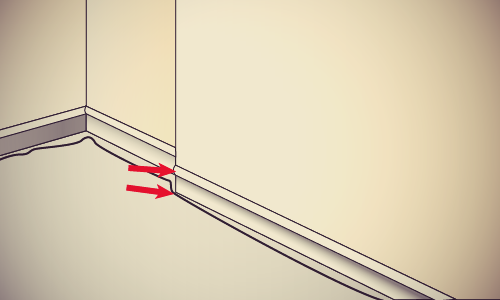 You should use the outside edge of any obstacles as the starting point for your measurements in step two. Once you’ve noted down all of your measurements, head to our Instant Quote Calculator for an estimated price. You simply need to enter a few personal details, the linear metres of your chosen partitioning system and how many doors you require. The Quote Calculator is intended as a general guide to how much your project will cost. If you do decide to proceed, you can call us or request a call back – we’ll provide you with a quotation based on site-specific details. Then, if you’re happy, we’ll visit the site to discuss what you hope to achieve. If you have any questions, or would like to discuss a project with us, contact our expert team today.